They drive me nuts, keep my on my knees and make me smile from ear to ear. You called it. My kids are my w.o.r.l.d. They don’t miss a beat, that’s for sure. Nothing escapes their view. They’ve got to know how it works, why it does that and how long before the next sugar-filled holiday celebration. 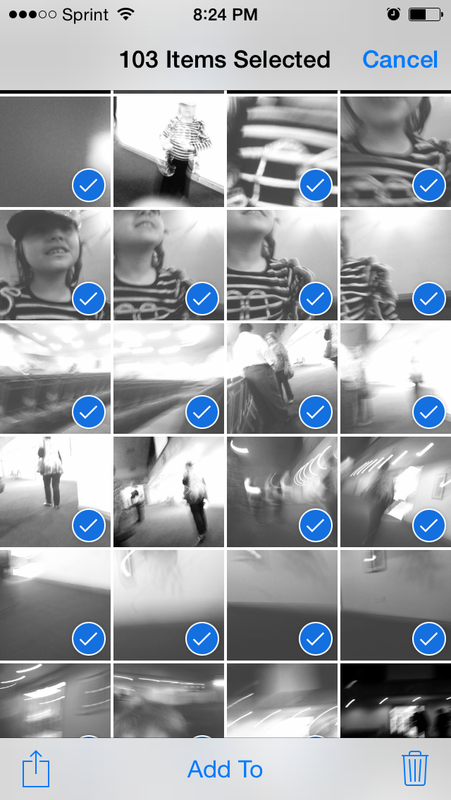 So the other day I go to snap a cute pic of my littles and I’m alerted that my phone memory is full. What?? Not cool. Not cool, man. I open up my pics and see I have around 1,000 images. Blury, fuzzy, kid’s eye view shots taken after church last week by a variety of little fingers. There were fuzzy up close pictures of kids’ noses, adults size 8 shoes, back of heads, walls, and smiling faces. A kid’s-eye view of “Jesus’ house,” as our 3-year-old cutie calls it. We teach our kids more than we realize. This can be equally humbling and scary. I’ve mentioned before that we teach them how to respond to situations by the way we ourselves respond. A car pulls out in front of us and we start ranting and raving about the where the idiot got their driver’s license. Our mini-me in the backseat takes notice and jots down a mental note on how to act when we don’t like how something goes down. But have we ever thought that we teach our kids how to relate to God? When Kendyl was barely 2-years-old, she watched us in church. If Mommy or Daddy raised our arms in worship, up went that precious little arm stretched up towards heaven. If someone shouted out a “hallelujah!” during service, our little curly-headed princess would follow suite. 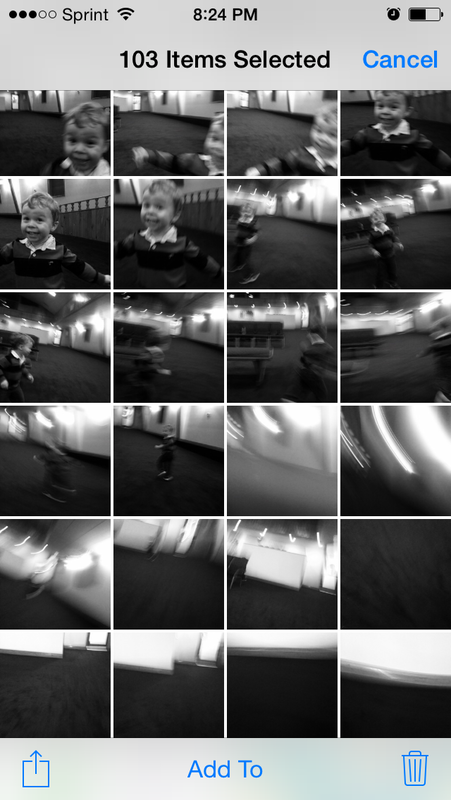 Our kids see how we respond to the Holy Spirit. They are silently observing how we plop down in our seats with arms firmly folded, refusing to budge. Our kids watch us put on masks that signal that all is well even though we’re dying inside. 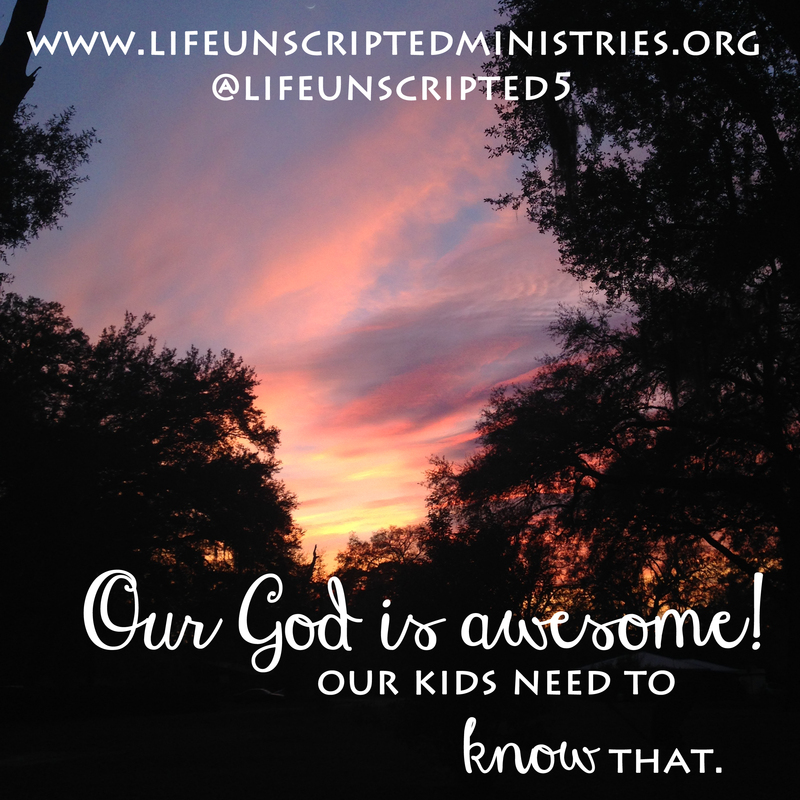 What are our kids witnessing in our lives? Are we teaching them to show loving reverence to a Holy God? Or are we educating them on how to endure an hour a week listening to a man tickle our ears and walk out the same way we came in? Children are often the product of their raising. If we show passionate pursuit of our Savior and gratitude for our blessings, it’s likely our children will mirror those beautiful traits. Oh what priceless gifts to give our children. So the loaded question – What is the worth of the cross you are carrying? To me, it’s priceless. It can’t be carried halfheartedly. It’s all or nothing. You see, I know what it’s like to run from God. I remember where God found me and how He reached way down to pull me out of my self-created pit. I know the call Jonah received from God had to be pretty intimidating when the opposite direction looked so appealing. The world appears to have it all laid out on a silver platter. It’s not easy going against the flow. It’s so much easier sticking with the crowd. But what if that’s why we’re here? To stand out? To pursue something so incredible, so completely life changing that shakes us to our very core. It causes us to take a self inventory. It makes us question if we’re taking this thing seriously or if we are just checking some moral obligation off our to-do list because it makes us feel better. What is the worth of the cross you are carrying? I don’t know about you, but I want to leave a legacy. I want to grow old and know that I have raised God-fearing, God-serving, people reaching, giving, kind hearted children who boldly walk out their faith. Not just WWJD wearing kids sporting religious t-shirts. 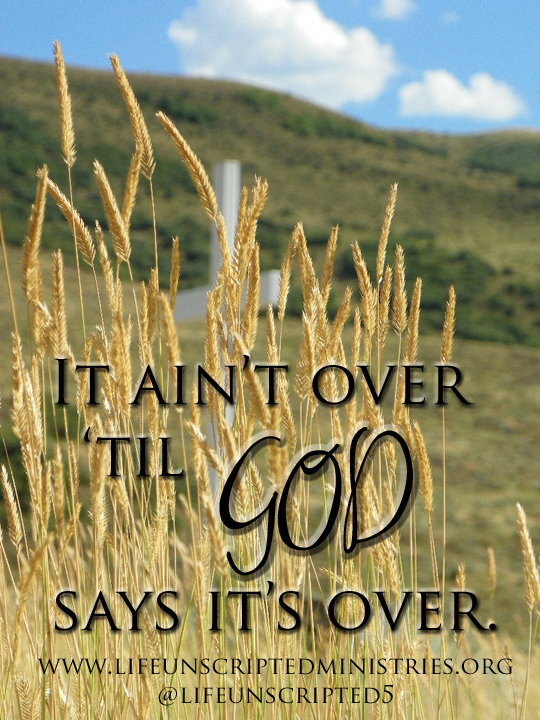 Godly little men and women who know their God is the same God of Abraham, Isaac and Jacob. The God who still works miracles. The God who split the Red Sea for Moses and the one who sustains life when the doctor said to pull the plug. I’m praying that we can carry our cross in such a way that our children are inspired to chase this thing with everything within them. Let’s finish this race well – not being satisfied with just sliding by. Let’s go the extra mile. Love when it hurts, give when it’s almost gone. Life well, love well. I’d love to hear your thoughts! 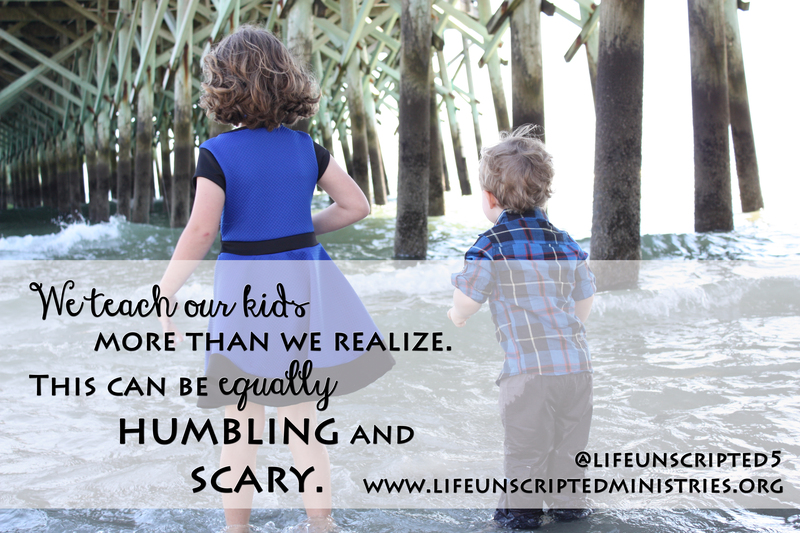 Have your kids surprised you at how much they can be little sponges? What’s something your kids have said that has blown your mind? Have they copied behavior that has brought you to your knees? I know mine have!